As the details of Governor Andrew Cuomo’s MTA tax deal take shape — they’ve been in flux all day — it appears that transit service could be imperiled, if not immediately then in the long-term. Essentially, Cuomo seems set to turn $320 million in dedicated MTA revenue into discretionary funding, a recipe for it to disappear in the future. While Cuomo has repeatedly promised that the state will pay the MTA back for all the dedicated tax revenue it will no longer collect, the reimbursement mechanism will make the transit agency more vulnerable to future cuts. The plan, which got Senate Republicans to sign on to Cuomo’s tax reform package, will exempt private schools from paying the 0.34 percent MTA payroll tax. Small businesses will either be exempted from the tax entirely or given a rate reduction, depending on their size. Those changes will cost $250 million, which Cuomo’s office has promised will be reimbursed to the MTA. The governor could ensure that the MTA will recoup that money largely without risk to transit riders. Currently, public schools pay the full payroll tax upfront, the MTA gets the money, and then the state repays the schools. The new exemptions could be structured the same way, insulating the MTA from the risk that state leaders won’t follow through on their promise. According to Capital Tonight, however, the new exemptions will work differently. Schools (and presumably small businesses) won’t pay the tax at all. Instead of reimbursing the schools at the end of the process, the state will reimburse the MTA. So the MTA won’t be collecting this money from the dedicated payroll mobility tax, but from the state’s general fund. Since the public schools will also switch to the new system, the state will have to repay the MTA a projected $320 million every year. This is a dangerous way to fund transit. General fund commitments to the MTA have a way of vanishing. Over time the state’s general fund contribution to the MTA has dwindled to all of $7 million per year (the MTA’s annual budget is over $12 billion). While dedicated funds can be raided (the state has stolen $260 million in dedicated funds from the MTA over the last two years alone), they’re a whole lot safer than general fund allocations. The dedicated fund raids clearly violate a prior legislative promise, and they are starting to carry more of a political price. Moreover, Senate Republicans negotiated a sunset provision for the payroll tax cuts out of the original language. That means there’s all the time in the world for Albany to cut its transit funding back to nothing. Although the Albany leaders say that the state will make up any lost revenue, they have not determined a secure source of financing. Mr. Cuomo needs to make certain that the already cash-starved transportation authority doesn’t suffer. The last thing New York needs is to downgrade the system that gets so many millions of people to and from their jobs. 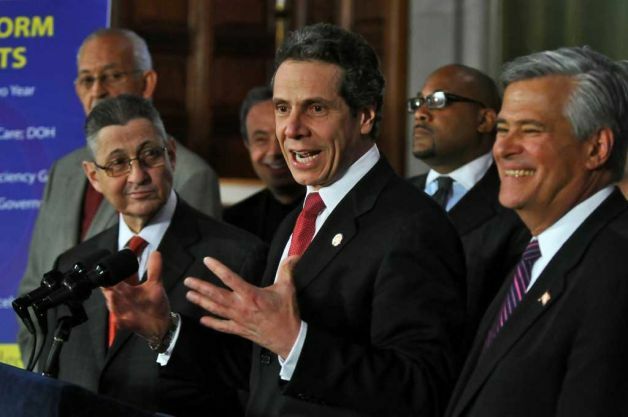 A press release put out jointly by the Straphangers Campaign, the Tri-State Transportation Campaign, the Regional Plan Association, and the General Contractors Association explained concisely the problem with the tax deal. A better way can be found in the way public schools are being treated right now. These schools now pay the PMT and then apply for reimbursement from the State. This rebate approach assures that the MTA gets the PMT money up front and there’s no need for estimates. General Contractors Association Managing Director Denise Richardson had even stronger words in an article in the Wall Street Journal. “They are sowing the seeds of the MTA returning back to the conditions of the late 1970s and the early 1980s,” she said.